I find very interesting how architecture and education interact. It has been fascinating to feature these previous childare centers in Mexico, Japan and Slovenia. Today we are featuring this amazing work in New Zealand by Collingridge and Smith Architects. 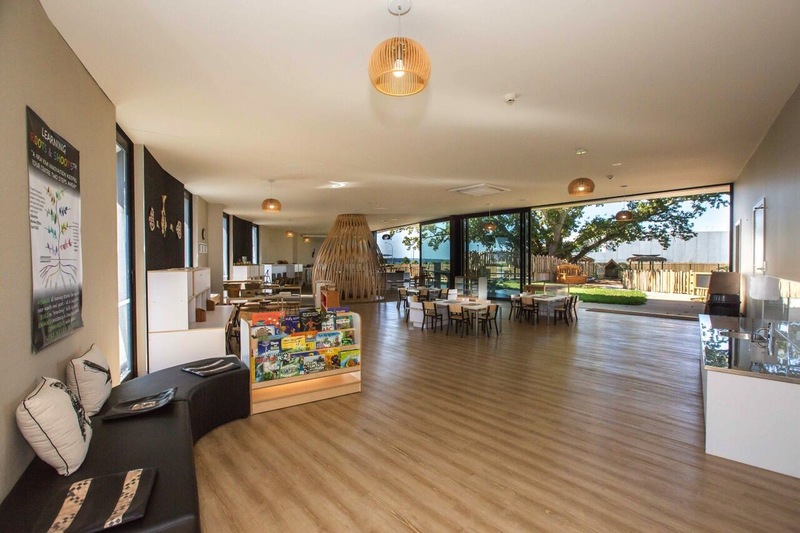 The Chrysalis Childcare Center is a unique and innovative childcare centre that captures the cultural and spiritual value of the area. 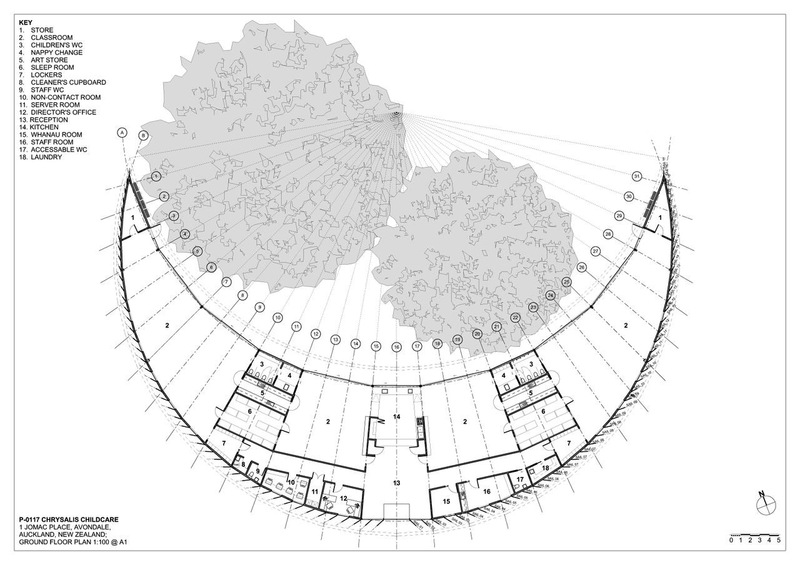 The starting point was the site itself which presented both the problem and the solution: the trees. 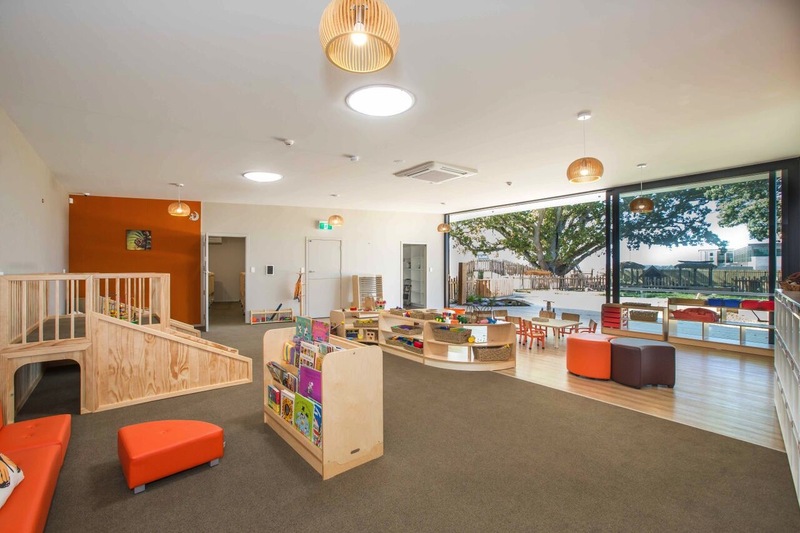 As explained by Collingridge and Smith Architects: ” for most developers the trees have been a big problem, but for early childhood they provide a beautiful and symbolic solution. One is an English Oak tree, the other a native Pohutakawa, both of equal size and stature, standing side by side, their branches touching at the heart of the site. This symbolism forms the basis for the whakapapa of the site and its new use: a bi-cultural (and multicultural) childcare centre“. 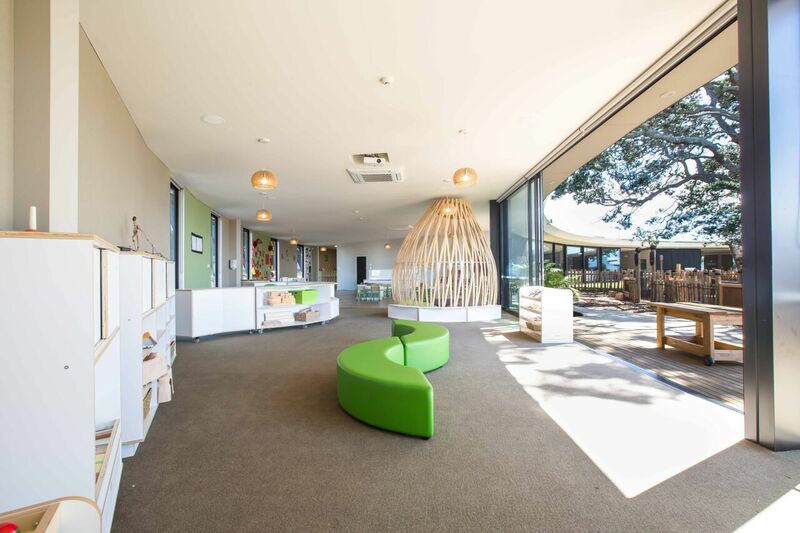 The Chrysalis Early Learning Centre is a ground breaking, unique concept in early childcare education, with an innovative and spacious Pacific/Kiwi inspired “Play Garden” and “Edible Garden”. Their growing “Fruit-Orchard” allows fruit picking all year long for the children. 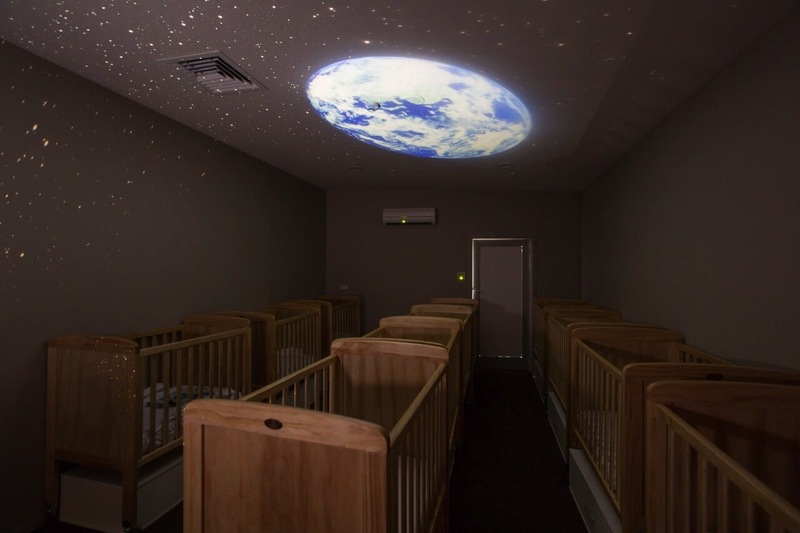 I am in love with their laser starlight projecting the Milky Way Galaxy & Moon in the ceilings of the sleep rooms. 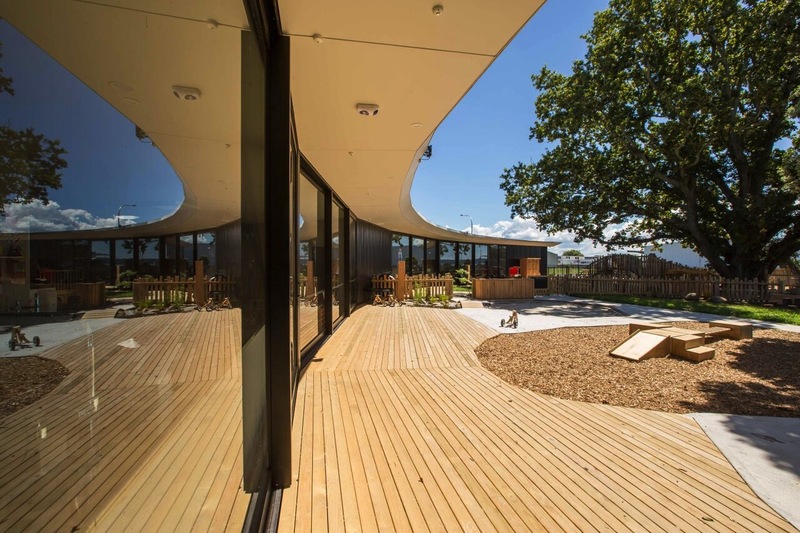 This design by Collingridge and Smith Architects is an architectual masterpiece and an inspiring and imaginative place for children, teachers and parents. It is a uniquely sustainable center that uses solar power and a rainwater recycling tank saving tens of thousands of litres a year, and many more environmentally friendly features.